Factional leaders of the All Progressives Congress Olorogun O’tega Emerhor and Senator Ovie Omo-Agege, yesterday fully resumed their acrimony following the court judgment that again put control of the Delta State chapter of the party into contention. The resumption of hostilities followed the Federal High Court judgment that upheld the Chief Cyril Ogodo-led executive as the legitimate executive of the party in the state. The court judgment also affirmed that those aligned with Ogodo were the right candidates that represented the party in all elections, a judgment that could make Emerhor appropriate Omo-Agege’s election as a senator to represent Delta Central in the Ninth Assembly. Emerhor emerged as Delta Central candidate in the Ogodo led executive while Omo-Agege was the candidate in the Prophet Jones Erue led tendency that was supposedly delegitimised by the court judgment. Despite peace moves by Vice President Yemi Osinbajo, the rift between both factions continued into the 2019 National Assembly elections with Omo-Agege losing out substantially at Evwreni Ward 8 where Emerhor and the Executive Director, Projects of the Niger Delta Development Commission, NDDC, Sam Adjogbe voted. With a total of 2, 259 votes, Omo-Agege got 526 votes while the candidate of the Peoples Democratic Party, PDP, Evelyn Oboro scored 1, 646 votes as against President Muhammadu Buhari’s 1, 915 while Alhaji Abubakar Atiku of the PDP got 390 out of a total of 2, 321 valid votes. Though Emerhor through his Mainstream Delta APC pledged to work and support candidates of the party produced from the Erue-led executive, the party performed poorly during the elections winning only two local council areas in the state out of 25 with Omo-Agege, Revd Francis Waive both winning their positions for Delta Central senatorial district and Ughelli North, Ughelli South and Udu constituency respectively. Speaking on the ruling, Omo-Agege described the ruling as “of no consequence”, insisting that the Asaba High Court lacks the jurisdiction to sit as an appellant court over a consent judgement delivered by a court of coordinate jurisdiction and that he is not party to the suit. Omo-Agege through his senior special adviser communications and strategy, Godwin Anuaghe, explained that though the judgement by Justice Adegoke may give some joy to the plaintiffs and their supporters, but that it cannot alter the status quo. He further deposed that his election and that of the member-elect representing Ughelli North, Ughelli South and Udu constituency, Rev Francis Ejiroghene Waive remains valid. He said: “The electoral college that elected Senator Omo-Agege and Rev. Waive as APC candidates in the just concluded 2019 General Election came into being by virtue of a consent judgement that has not been set aside. “The court in its wisdom held that the consent judgement is not binding on Cyril Ogodo and co because they were not parties to that suit, it becomes trite that the judgement also cannot bind on Senator Omo-Agege and Rev. Waive because they were also not joined as parties to this present suit. Also reacting, the Erue-led executive in a statement, while citing an earlier consent judgement, explained that that the Federal High Court, Abuja and Federal High Court, Asaba, are courts of coordinate jurisdiction, hence in law, the judgement of federal high court, Asaba, cannot override the valid judgement of the federal high court, Abuja, which remains un-appealed till date. However, Emerhor who had been silent since the poor performance of the party in the state, roared out yesterday accusing Omo-Agege of building his candidature on nothing and applauded the court for restoring the legal executive of the party into its proper position. He said: “The mainstream of the APC in Delta State which I lead produced the Ogbodo led executive. The mainstream accommodates over 70 percent of the leaders and members of the party in the state and during the contest for the General Elections, it boasted of over five governorship aspirants. The Ogbodo Exco produced by the mainstream has always been the authentic Exco. 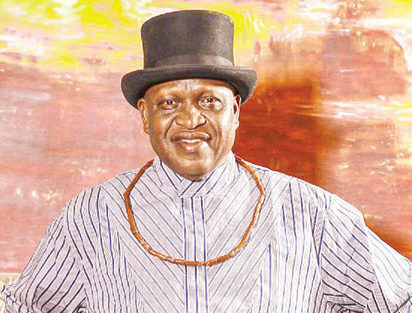 On his candidature as the Delta Central candidate for the Ogodo-led executive, Emerhor said: “I emerged as the Delta Central senatorial candidate against Senator Ovie Omo-Agege who emerged from the Jones Erue Exco which the court has now declared illegal. “Legally and physically, you can’t build anything on nothing! Omo-Agege built his candidature on nothing and it has given way and has collapsed. But this is beyond just me and Omo-Agege.